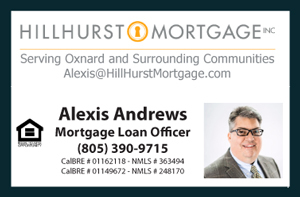 You are cordially invited to attend my next upcoming Open House in the Via Marina Community 3561 Via Marina Ave Home for Sale in the coastal city of Oxnard, CA. Feel free to bring your family, friends and extended work colleagues. Welcome to Via Marina one of Oxnard's premiere neighborhoods. Featuring a move-in ready single level house, with 4 Bedrooms, 2 full Bathrooms, and RV parking area. Bigger than most homes in the neighborhood with well over 2,000 square feet of living space on an oversized 6,790 square feet lot. Plenty of room for your toys in the attached two car garage. Boasting an excellent custom stamped concrete driveway leading to the front door and throughout. Spark your culinary creativity with gourmet kitchen enhancements such as Travertine backsplash, Granite countertops and an Open Concept. The open floor plan offers spacious living and dining room areas- ideal for entertaining guest and family. The laminate wood like flooring extends throughout the house as well as custom crown moulding and high ceilings, enhancing the elegance of the home. All bedrooms rooms and the second family room provide carpet. Over all the home offers newer double pane windows and sliding doors. The well kept back yard features an automated sprinkler system. The side and back fencing is comprised of mainly wood with some sections made of brick. Located in a quiet and family oriented neighborhood. Proximity to the ocean water is a bonus, less than 2 miles to the beach. Walks around the park is the norm in the Via Marina Neighborhood. The house is located just around the corner from Via Marina Park as well as Christa McAuliffe Elementary School. Only a few blocks from the Seabridge Marketplace where you will find the Oxnard Marina, restaurants, coffee shops, supermarkets, marine wildlife and more. A must see property!